Not all roof repairs are equal. In many cases, roof repairs make sense and can save you money! A roof repair may very well be the best option for a homeowner instead of a new roof. We see this all the time. Recently, a homeowner wanted a new roof installation estimate and we suggested to just do a repair. While other companies were saying the new roof would cost her over $9,000, our repair came to be about $800 and her roof would last another 6-7 years. She was very thankful. As a consumer, be sure to check around to make sure a roof repair is a viable option for your project. If a building has a roof on it, we can generally repair it. Many St. Louis Roofing Contractors will only offer an option for a new roof. We understand that a home owner or local business owner may not have a money tree growing in their back yard. We will always provide you with our honest look at what is actually going on. 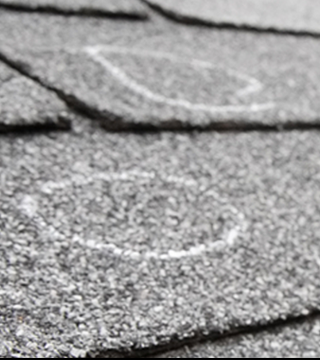 If a roof repair will work for your home, we will be the first to let you know. If you do need a new roof, we can provide you with a free estimate. Our experienced and trained staff will responsibly assess what roof repair best fits your needs and offer and appropriate solution to your problem. Call today and let us help you! If you are in Illinois, call 618.628.1984. If you are in Missouri, call 314.632.6723. If you want us to call you, visit the contact us page and fill out the form. We will get back to you within 1 business day. © 2019 FM Exteriors. All rights reserved.